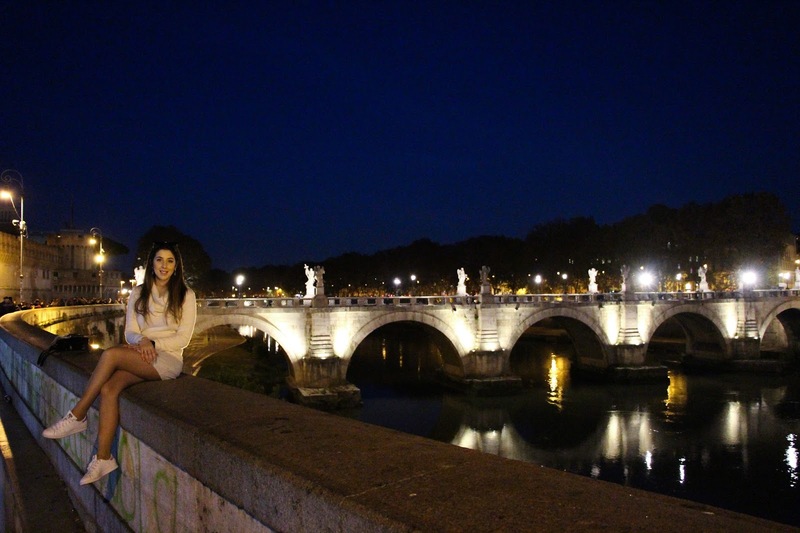 Rome was one of my favourite places to visit ever. I went back in 2016 (can’t believe it’s been that long already) and it is a place that I keep very close to my heart. We stayed for four days but we fully enjoyed only three of them as the last day we left straight after breakfast. 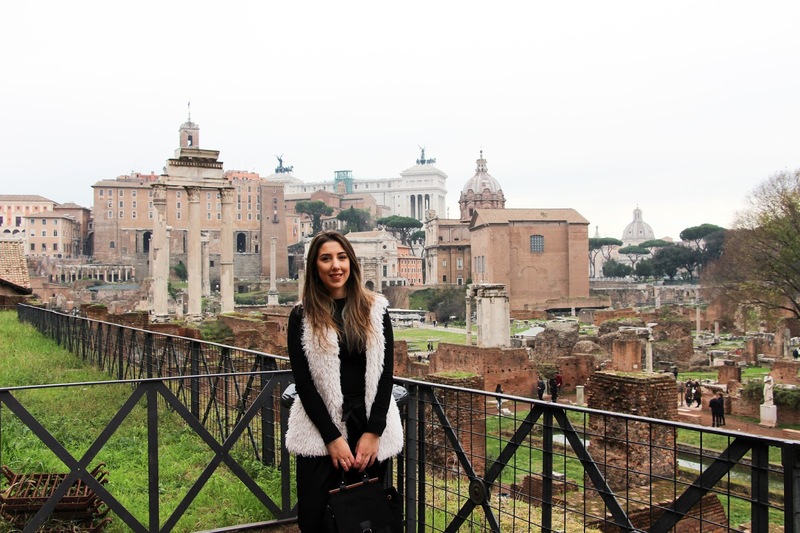 So due to the lack of energy to take new photos – sorry but this flu hit me really hard – I came up with this little travel guide for some perfect three days in Rome. So grab a pen and start taking notes! I have to admit that when it comes to deciding hotels and all that jazz, Miguel (my fiancé) always sorts it out. Actually, he sorts most of the things out including transport and all that. We got it all balanced – I make sure our house is tidy and his clothes are ironed and he ensures our trips go smoothly. This really sounds like a really old fashion couple but whatever. So I know he does a lot of research on Tripadvisor and looks for some good deals over at Booking.com or Expedia for example. Most of our stuff is booked through them. We always choose somewhere that it’s affordable but yet close to the city center so we are near most of the main attractions. This means that we can walk almost everywhere and it makes it so much easier not having to worry about transport. We don’t bother a lot about the hotel view or all those very instagramable things because we want to be practical, affordable and good. We also normally look for deals with breakfast included so we can start our morning with a good breakfast to have enough fuel for a few hours and it saves us spending a bit of extra money eating out. We stayed at the IQ Hotel Roma and we actually enjoyed our stay. The service was really good, the people at the hotel were lovely and the breakfast was delicious. I admit that I am a sucker for breakfast. My favourite meal when I travel. I love the amazing selection of stuff hotel’s have for us but at the same time I also love to discover the city’s traditions by eating breakfast out but that wasn’t something we did on this trip. The hotel was very close to the train and bus station that we knew we would need to go back to so it was really handy. It was also in quite a good location and we literally walked everywhere. The only place we didn’t walk to was Vatican City and when we went back to the airport, obviously, because they are both very far. I would definitely go back to stay at the IQ Hotel Roma and I totally recommend it if you are looking for somewhere in the area that doesn’t cost you a fortune but still gives you amazing service. As I said we went for four days but the last they was like nothing as we had to leave to the airport straight away. Yet, for the three days that we got to enjoy a lot of what Rome had to offer. Heres is ruffly how we spent those three days and a few recommendations of other places that I would have loved to visit if I had more time. It is part of our routine to just walk around town with no purpose on our first day, no matter where we go. We always get to the destination around lunch time and so we don’t normally plan anything specific for the day. We like to explore and discover places to visit the next few days. So with Rome it was no different. We arrived to the hotel, left our bags and were ready to explore this beautiful city and because I love doing this, it is definitely something I recommend. We walked a lot and discovered the most beautiful corners of Rome. 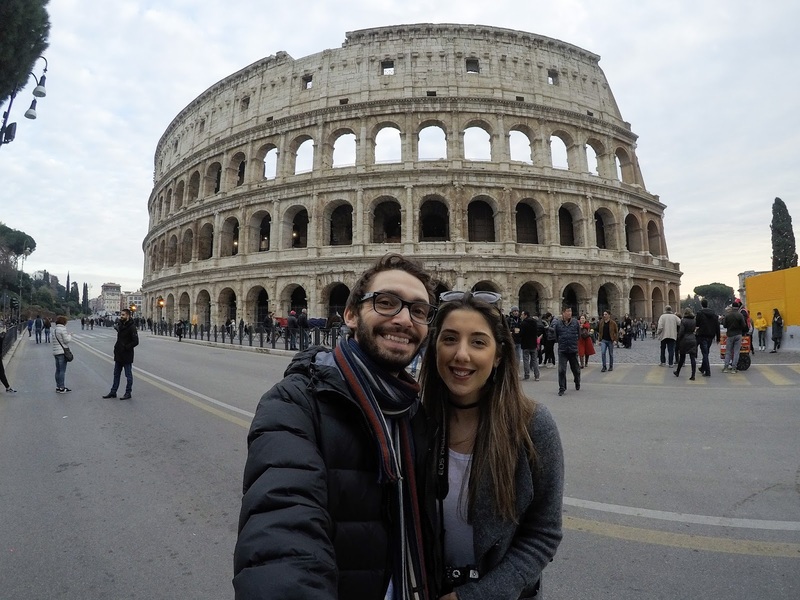 We walked past the Colosseum and Palatino and fell in love straight away. We also walked through Via di San Gregorio, one of my favourite streets in Rome. It is beautiful and you will see amazing artist that will blow your mind. This one below was my favourite. I don’t know his name and I didn’t buy a CD but I want it. If you live in Rome and you see him around will you please try and get one for me? I promise I’ll pay you back. 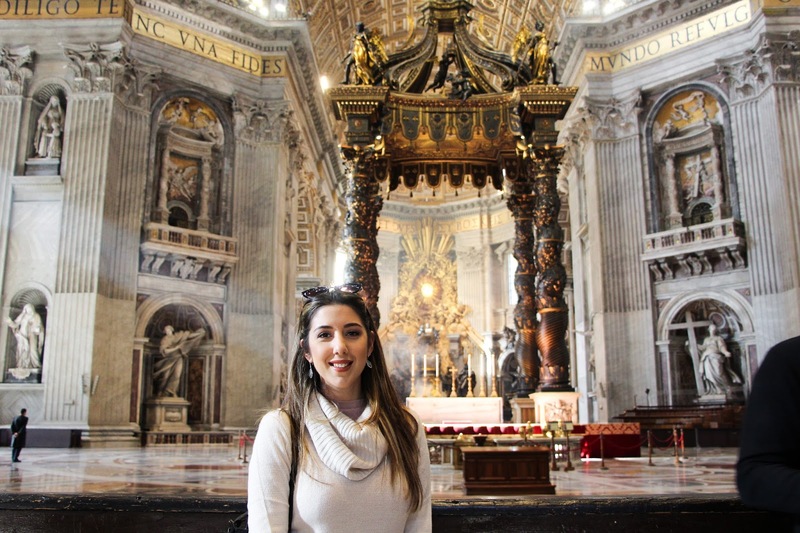 Fun story – I cried after listening to this and my fiancé (boyfriend at the time and no, he didn’t propose in Rome although I kept thinking we would) made fun of me. So if you are like us and you adore to explore the city and it’s magic, walk around but be sure to go to Via di San Gregorio. You will love it. We also found some lovely cafes and restaurantes in the area that we would have loved to visit but we ended up somewhere different. How beautiful is this street and this view with Colloseum as a background? So worth it! This was the day were we had it all planned. We had breakfast quite early and went straight to the train station to get to the Vatican City. 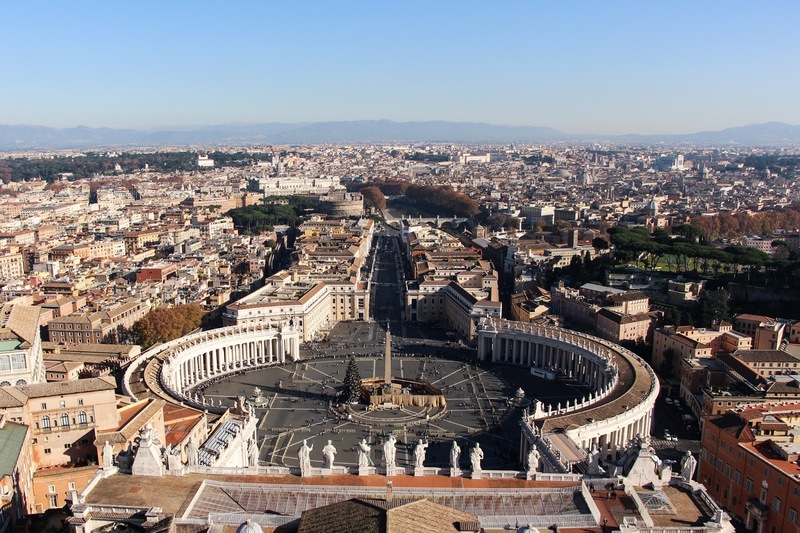 Vatican City is massive and we planned to stay there the whole day and just enjoy every little thing about it. 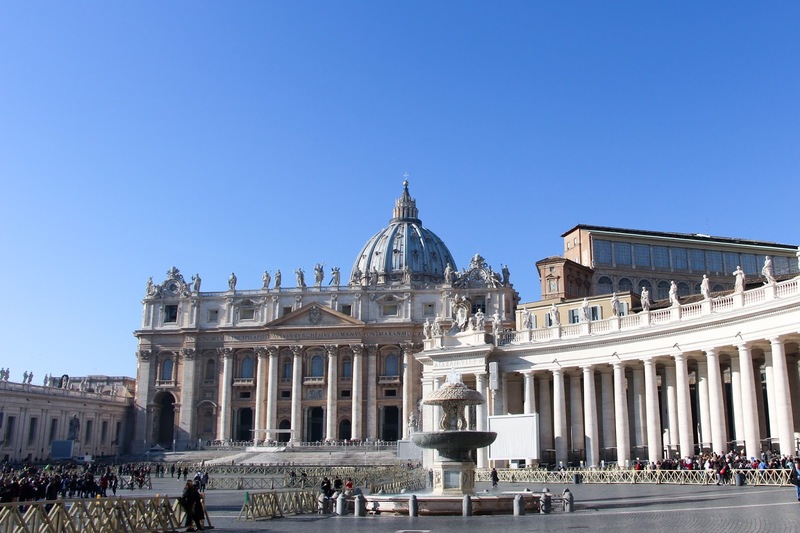 We started by going to St Peters Basilica. Make sure you go early to avoid a big, massive queue. When we got there it wasn’t so bad but we definitely had to wait a long while (maybe around 1h or 1h30) to get through security and finally get inside the St Peters Basilica. It is so, so amazing. I couldn’t believe how beautiful it was, I felt like I was in a movie. That is the magic about Rome – it all feels very unreal, it feels like you traveled back in time. Also, I never thought I would go there anytime in my life (don’t ask me why) and because of that it all felt so unreal and magical. So don’t forget – arrive early, buy tickets ahead of time and definitely head up the top of the dome. It is incredible. You also have to go up a crazy amount of stairs but it is so worth it! Just check out this view! 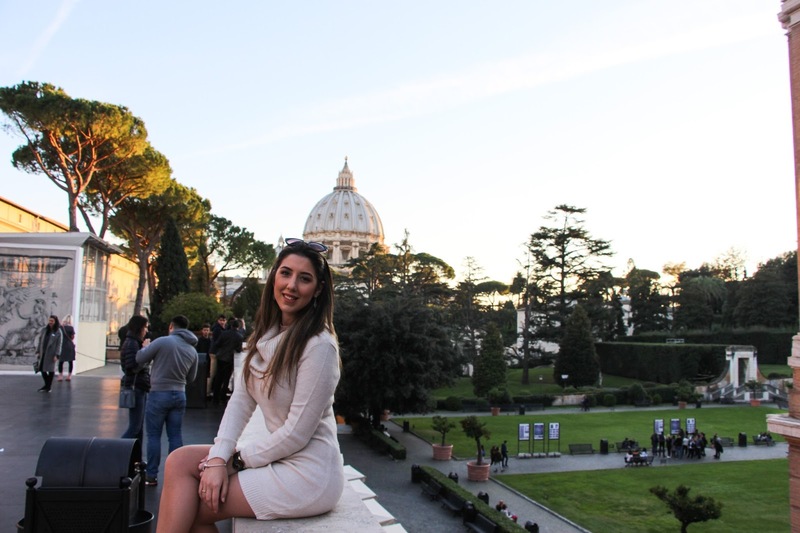 After falling in love with this place, we went back down and headed to the Vatican Museums and Vatican Gardens. Listen, you have to go. Add this to your list and don’t think twice about it. 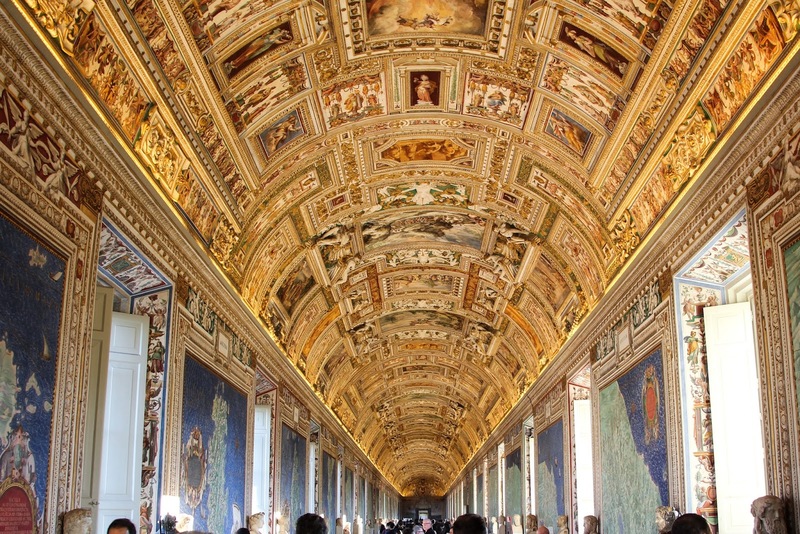 The Vatican Museums are endless and the art and sculptures are simply beautiful. 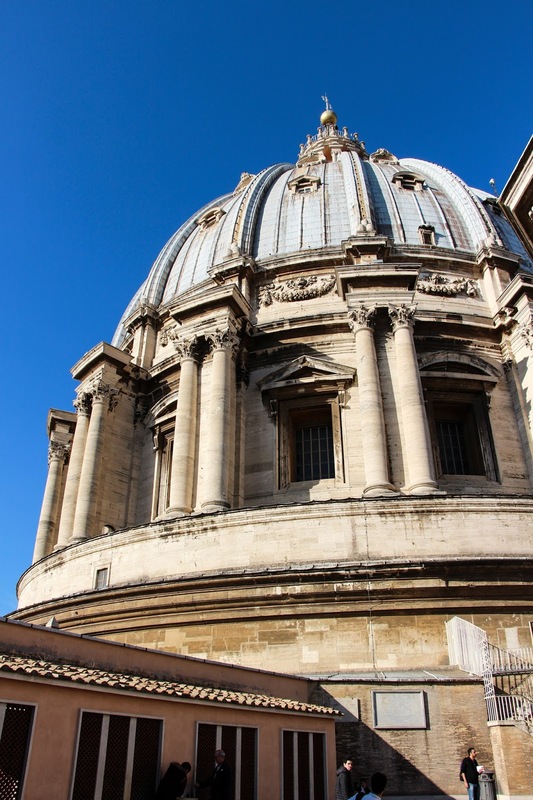 You also have a beautiful view over St. Peters Basilica. The Sistine Chapel is also a beautiful place, so breath taking that it is hard to put it to words. A must see. 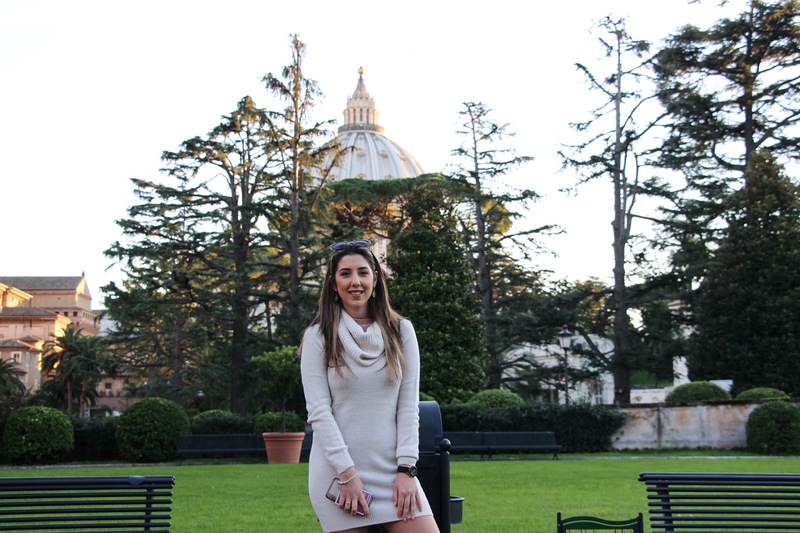 The Vatican Gardens are as beautiful as the museum. You can even have a nice coffee if you want but in all honesty, I would avoid to eat anywhere near main attractions. It can be pretty expensive and I said this from experience, ok? Never seen Miguel so upset whilst having some toast and orange juice. Honestly, it was too dear. Anyway, the gardens are stunning, it is so quiet even though the museums are crowded. It is a nice and refreshing moment when finishing the visit to the museums. We completed the day by going to the Castel Sant Angelo. We didn’t actually go in, our good friend that is from Rome said to just enjoy the view and the river and she specially mentioned how beautiful it was at night and so we followed her advise. No regrets. It was beautiful and very romantic. The bridges in this area are particularly beautiful with some amazing sculptures that, again, feel like you traveled back in time. So it is a place that you must visit too. If you have more time than us, maybe you would really enjoy to go inside the castle and discover a bit more of Rome. We ended up this day by going to the Fontana di Trevi, one of the most famous places of Rome and it was crowded as expected. It looked beautiful at night, I loved it. I am not the kind of person to go to a certain place very early for the sake of a beautiful photo. Or shall I say that I wasn’t at the time we visited Rome because now it will be something I will have into consideration. 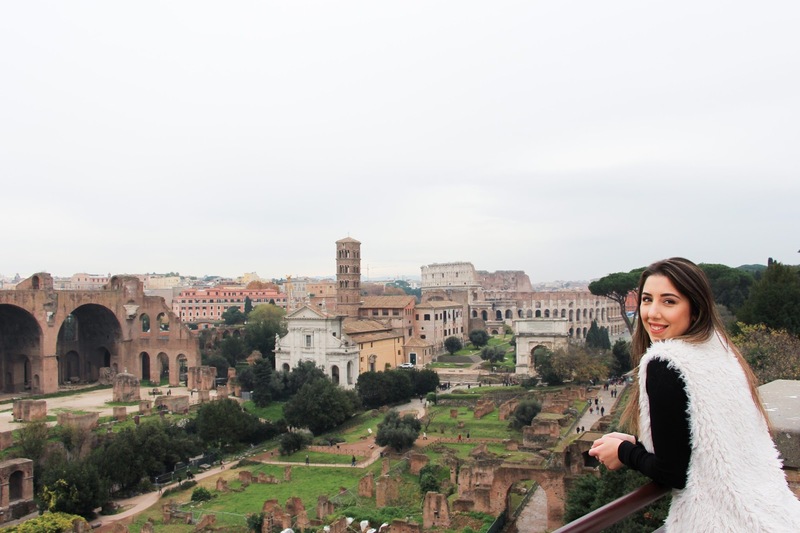 The third day should be the day where you visit the Colosseum, Palatine Hill and Roman Forums. It is another must do, another tick off your bucket list. It takes quite a while this visit/tour so we did save most of the day for just this. We also went back to the Fontana di Trevi while it was still day time to enjoy the magic a little bit more and it is so beautiful. The best way to visit the three places is by buying a combined ticket that allows you to go to the three places and this saves you some money. We bought it on the day and I don’t think we wasted to much time as the queue wasn’t too bad. But I do know that you can get them in advance and that is just as good. The Colosseum is absolutely beautiful and so impressive. We had the audio guide for the tour and we were able to discover so much about the history of the Colosseum. 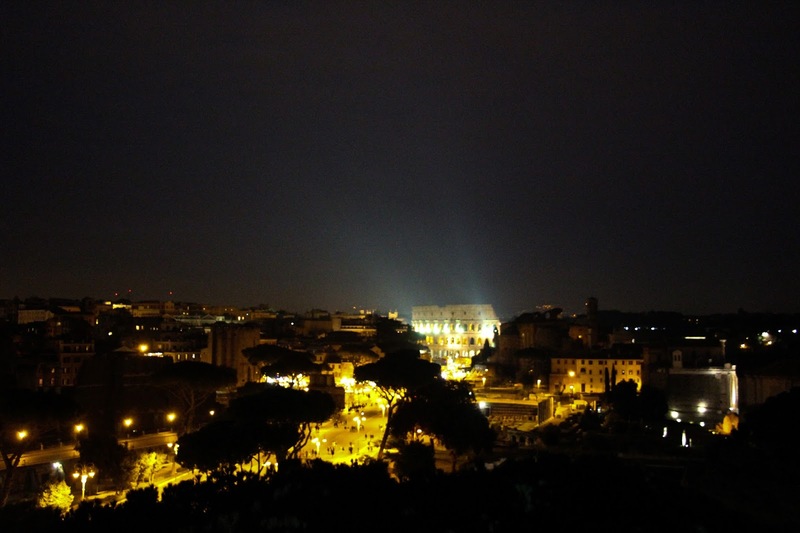 The Palatine Hills and the Roman Forum are amazing too. 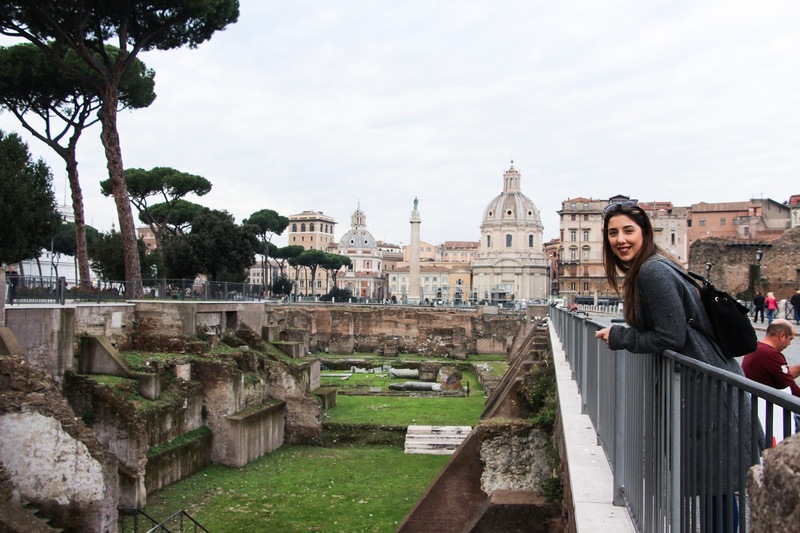 Palatine Hill is the birthplace of Ancient Rome and gives place to the most beautiful ruins. Story tells that Romulus stood up on this hill and chose it as the very spot to start a new empire. It was the home emperors, senates, etc. From here we could walk out to the ruins of the Palace of Augustus, the Roman Forum, and the crumbling arches and pillars of an antique time. In one word: STUNNING. We spent so much time there as we just loved walking around those amazing ruins and finding out all the history. This day was completed by a visit to the Teatro dell’Opera. Funny story – when we walked past this theatre that is close to the hotel, we were approached by a nice gentlemen that offered us two tickets because his two friends couldn’t attend. We were very suspicious and didn’t trust it at first but he insisted and we gave in. It is a beautiful theatre but we aren’t fans of Opera. At least not one that lasts about 4 hours. Every time there was a break we thought it had finished. It took us until the third break to give up and sneak out to have dinner as it was already 10 pm and we still didn’t have anything to eat. It was indeed a good experience but next time we will make sure we eat before we go. 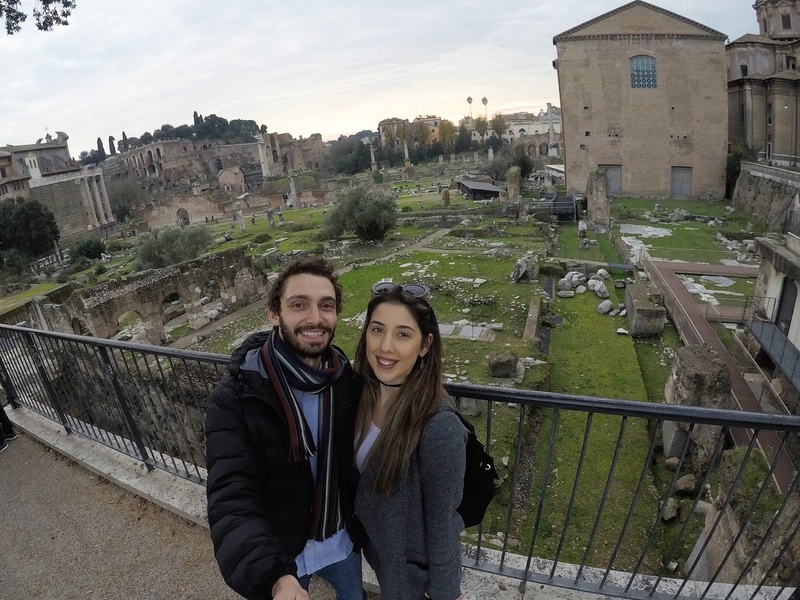 And this was our final day in Rome and it could be yours too if this sort of travel guide inspires you. 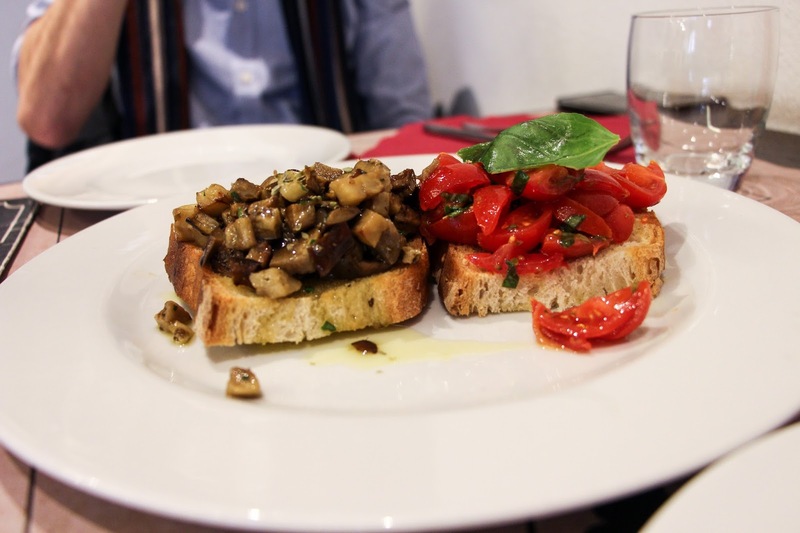 I don’t think we got to experience a lot in regards to the beautiful food Rome can offer us. As I said, we add the breakfast included so most of the time we would skip lunch and just have an early dinner. We have our 4 restaurants that we visited during our stay and they were all so good. Our first one was Amadeo Ristorante. A very friendly environment and not too busy so ideal when you don’t want to waste time waiting for a table. We had such a delicious bruschetta and I also had a seafood risotto. God it was delicious, just thinking about it my mouth waters. We also went to That’s Amore on our second day, my favourite and close to Fontana di Trevi. This is a restaurant that you can’t pre-book so if you don’t get there early, you can end up awaiting for a while. It is packed all the time but for a reason. The food was absolutely delicious. We also enjoyed the pizza’s at Pizzeria Robin Wood – a very warm, welcoming restaurant. Not crowded at all, at the time it was just us and another couple but the pizza was absolutely delicious. We love to discover these hidden restaurants that aren’t as raved as the most popular ones and we got to experience the most amazing, tasty, homemade pizzas and the price was so affordable! On our final day and starving after the opera show, we visited the La Matriciana, a restaurant that is straight in front of the Teatro dell’Opera, recommended by our friend and it was delicious too. The staff were so friendly, the food was really good (it was where I had my first Italian carbonara) and the Rose Wine was divine. You can also watch our (not so) little vlog if you want!